We take pleasure in delivering a service that helps people obtain an affordable dream and are delighted to receive compliments and praise from our clients. RFT Solutions has selected some of the letters sent to us by our clients who are now enjoying their new home, house renovation or home extension. 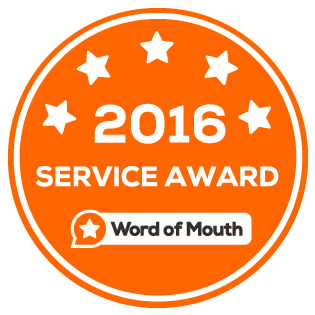 We also have many reviews online achieving a “Word of Mouth” customer service award for 2016. We are happy to provide a reference for RFT Solutions because you offer an excellent service for people like us who have very little experience in the building process. We could never have progressed our renovation had it not been for your assistance with drafting and sourcing builders. As it turned out we have been able to have our renovation completed as planned on time and within budget. We thank you very much for your assistance and would happily discuss your services with any of your potential clients. We cannot thank RFT Solutions enough for your service in creating our new home extension. As you said “Good things take time”. There were little things we had no idea about that could have ruined our home extension but thanks to your knowledge we were able to divert a possible disaster. You were able to assist in keeping building costs down and took the time to answer all our questions explaining clearly how or why something needed to be done. We would like to thank Peter Matthews for his patience working with us over the design and the builder HDL for their input in keeping costs down. We would recommend RFT Solutions to anyone thinking of a home extension or renovation. Thank you Michael for keeping our building costs within our budget. Without RFT Solutions assistance we would not have been able to afford our home extension. We recently returned to Melbourne and approached RFT Solutions with plans drawn by our architect and quotes from builders which were too expensive. RFT Solutions was able to make contact with HDL Enterprise who worked with us and the architect to make small changes that helped reduce our home extension costs. Thank you Michael for your patience and the care you showed for us. RFT Solutions managed the building of our home extension and managed the draftsperson and builder saving us considerable money. The draftsperson designed our extension to suit our difficult block. The quality of construction by the builder, is excellent and their price kept true to the meetings we had with them and while the design was taking shape. I am happy to recommend RFT Solutions to you if you are considering a home extension. We would like to thank RFT Solutions for their tremendous assistance in the building of our new home. Thank you for putting us in contact with a wonderful draftsperson and builder. This resulted in a great design which was constructed by whose workmanship could not be faltered. Our expectations were met at every turn and we recommend RFT Solutions to anyone thinking of building their dream home or house extension. Just a quick note to thank you so much for your help in the building work undertaken by our church. We were unaware of just how complex the whole process would be – and I honestly don’t know how we would have gone without your input. We have told many people that paying for your services was “Money Well Spent” and probably saved us more in the long run anyway. Your help in appointing the draftsman, surveyor etc. and especially the builders – was excellent and we were very satisfied with their services. Personally, I have found working with you a pleasure and would recommend your services to others. I wish to express my thanks to RFT Solutions for their guidance throughout our home extension project. Your assistance in choosing our draftsperson and then the builder was a major reason for the successful outcome. RFT Solutions was able to keep building costs to a minimum for which we are so grateful. We did not realise how long it might take but the reward is our beautiful home. To anyone thinking of a home extension or renovation I recommend RFT solutions for their knowledge and professionalism. Without RFT Solutions extension we would not be enjoying our superb home extension today. Your knowledge of the building industry process has been very helpful. It was a pleasure to deal with and we were happily surprised with the care that all their contractors showed while working inside our house. RFT Solutions has been a delight to work with and thank heavens we had you to deal with some of the unexpected situations that arose during our home extension. Thank you again for all your help and your time. Many thanks for your assistance with our home renovation. You were able to speed things along to help us keep to our deadline. Everyone you bought onboard to work on our project were fantastic. I recommend you and RFT Solutions to everyone considering building. I am writing a letter of recommendation for RFT Solutions. RFT Solutions rescued us from a builder who wanted us to sign a very dodgy building contract. The builder expected us to pay out nearly 40% of the money so he could order materials but before he started any work. Thanks to RFT Solutions we soon had a wonderful trust worthy builder creating our home renovation masterpiece!! I thoroughly recommend using RFT Solutions for your home renovation or extension.